GIFTS FOR GAMERS - A column at Cold's Gold Factory that focuses on bringing you some of the coolest gifts for gamers of all types. Remember to check back here for ideas for Gamer Birthday Gifts, Stocking Stuffers for Gamers, and Gamer Christmas Ideas. WoW! The demand for the newly released Official World of Warcraft Collector's Edition of Trivial Pursuit has been amazing! Having only been available for a couple of days, the Warcraft Trivial Pursuit has already moved into the #1 selling board game slot on Amazon! 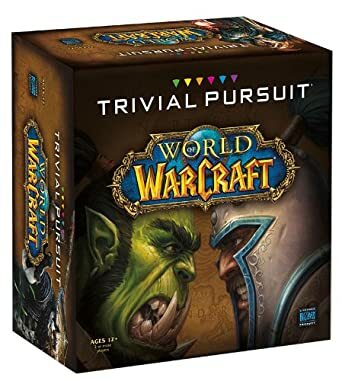 I've always been a fan of Trivial Pursuit games and the Warcraft release would make a great gift for any Warcraft fan, something both current and past players can enjoy. Current and past World of Warcraft players can test their knowledge of the World of Warcraft universe with this Warcraft Collector's Edition of Trivial Pursuit. The game even includes custom baby Murloc counters for moving around the board. 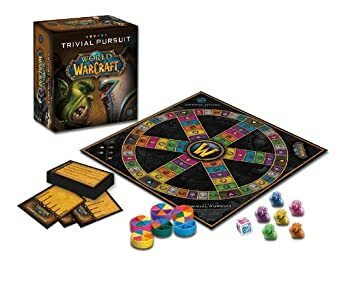 The Warcraft version of Trivial Pursuit will make a great gift for any Warcraft fans and will provide countless hours of replay value. 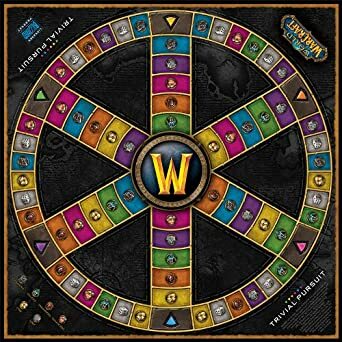 Order Your Copy Of Warcraft Trivial Pursuit Today! Monopoly: World of Warcraft Collector's Edition - World of Warcraft themed Monopoly board game! Risk: Starcraft Collector's Edition - Starcraft version of the popular strategic board game Risk! World of Warcraft - The Adventure Game - Complete with many expansion additions.